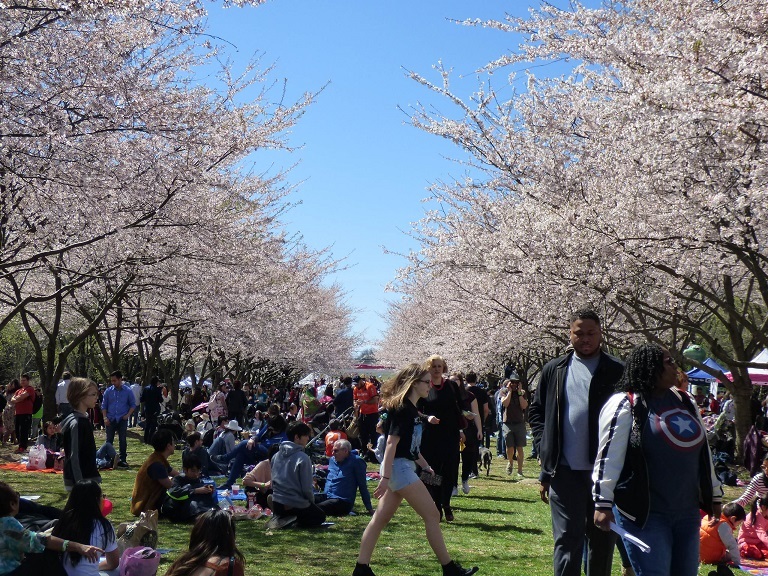 Sakura Sunday is held at West Fairmount Park’s Horticulture Center, home to hundreds of blooming cherry trees – including two from 1926. Bring family, friends, pets, and a picnic and enjoy a beautiful day of arts and culture beneath the blossoms! Tickets for Sakura Sunday 2019 are now on sale! Click here to buy your tickets today. ACCESS Card holders and Philadelphia STAMP Pass holders are eligible for $5 discounted tickets on Sakura Sunday. Please bring a valid ACCESS Card or display your digital STAMP Pass to receive a discount. Complimentary shuttles (including handicap accessible buses) run continuously between the parking lot and entrance. In addition to the parking shuttles, buses will run in continuous loops between 30th Street Station and the Horticulture Center.